There're few things better than finding a new possession that you adore enough to wear on repeat. In fact, the only way to truly trump that experience is by making a well-loved item feel fresh again and again. For that, we're breaking down a unique set of styling tips inspired by some of our favorite fashion bloggers to make one piece work in a variety of ways. Perfect these tricks, and pretty soon you'll be breathing new life into your wardrobe and showcasing your favorite pieces in new and never-before-imagined ways. Keep scrolling to see how nine fashion bloggers re-wear their favorite garments! Add (or subtract) layers to achieve a different look. 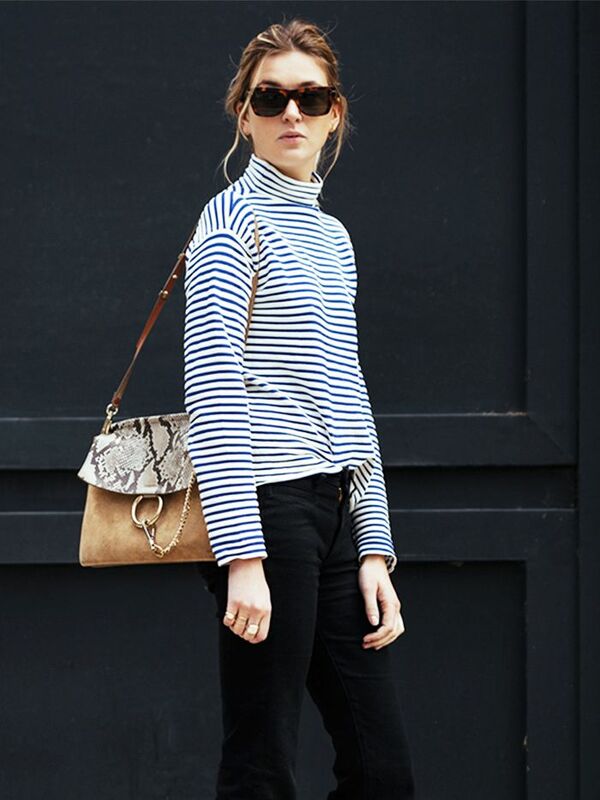 On Trine Kjaer: Comme des Garçons Play Stripe Long Sleeve T-Shirt ($158) in Green/White. Switch up accessories to make a loved item feel fresh again. On Zina Charkoplia: H&M skirt. Play with different color palettes, such as high-contrast hues or minimal monotones. On Lian Galliard: Missguided Barely There Strappy Heeled Sandals ($50) in White Croc. Wear pieces in unexpected ways, like tying a scarf around your wrist instead of your neck. On Marianne Theodorsen: Urban Renewal Vintage Well Worn Bandana ($6) in Red. Go for nontraditional clothing combos! T-shirts work well under dresses, or try layering your dress over a pair of jeans. On Danielle Bernstein: ATM Anthony Thomas Melillo Slub Crewneck Tee ($76) in White. 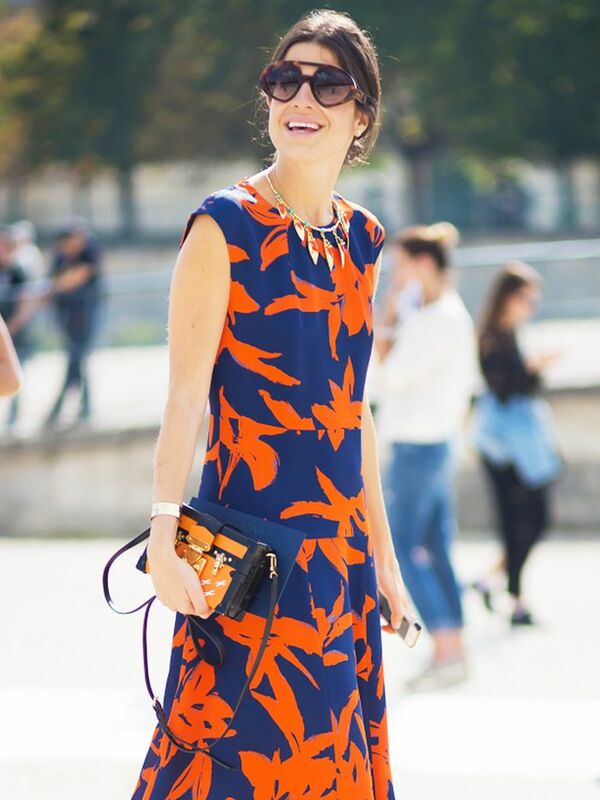 Use varying prints to draw the eye in and focus on different components of an outfit. On Mary Lawless: Madewell Oversized Denim Jacket ($128) in Lenox Wash. Mix formal and casual to refresh an otherwise tired look. On Carmen Hamilton: Nike Juvenate Sneakers ($85) in Wolf Gray/White/Cool Gray. Wearing a feminine outfit one day? Opt for a more masculine look the next. On Julie Sarinana: Anine Bing Cropped Leather Jacket ($1099) in Black. Try out a statement piece, like a vibrant leopard bag, to create an eye-catching distraction. On Shea Marie: Veda Jayne Suede Moto Jacket ($1100) in Bordeaux. What’s your most loved piece that you can’t stop wearing? Share your style tips for making it work in the comments below! Plus, shop our favorite elevated basics to invest in now!